1 OWNER...CLEAN CAR FAX.. CHEVROLET SILVERADO 2500 HD LTZ 4X4, 6.6L DURAMAX DIESEL ENGINE AND ALLISON HEAVY DUTY TRANSMISSION. CHECK OUT THIS CHEVROLET SILVERADO 2500HD 4WD CREW CAB!! 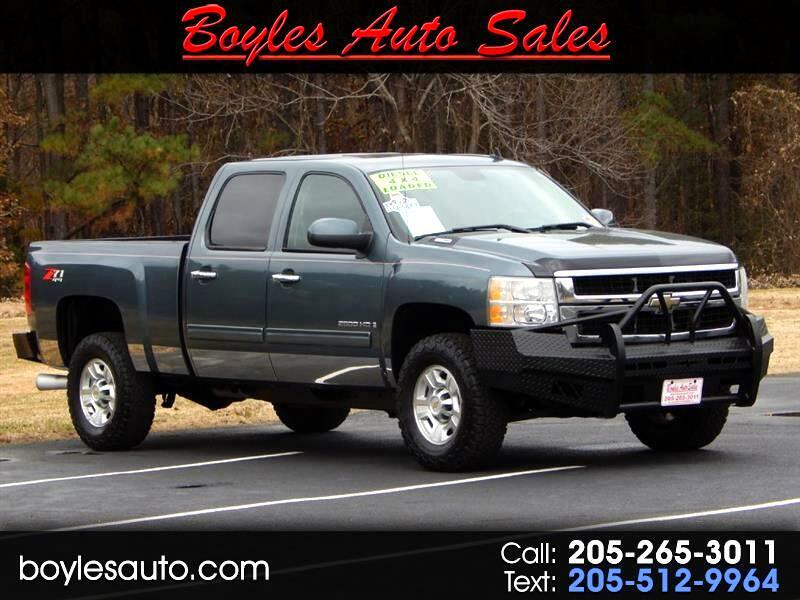 Look closely at this 2009 Chevy Silverado 2500 HD Crew Cab 4x4 that just arrived here at Boyles Auto Sales. Just fully serviced here at the dealership with a full inspection from front to back, so you're ready for the road ahead. Inside this Duramax Diesel you will find Power Heated Leather Seats, Sunroof, Remote Start, AM/FM/CD/AUX/SIRUS Radio, Power Mirrors / Locks / Windows, Built In Trailer Brake, Tramission Cooler and a Non-Smoker. Outside this Silverado HD2500 it's setting on BFGoodrich A/T Tires, Custom Front and Rear Bumpers, Bed Linner, Towing Package with Light Hookup, Goose Neck Hitch in the Bed, and Ready for Work. Powered by the proven 6.6L DURAMAX Engine and the GM Heavy Duty Allison Transmission makes for a winning combination. This truck drives and handles perfect on the road and it's just as nimble in town. So Make the short drive to Boyles Auto Sales and see it for yourself. We offer all types of financing with starting at 1.9% wac, so you can drive this 2500 HD 4x4 home today. Call Scott at 205 265 3011, or Randy at 205 269 3196. You can go online to boylesauto.com why Boyles Auto Sales is one of CarGurus TOP DEALERS IN ALABAMA, or to view our complete list of inventory. Buy online at www.boylesauto.com just click on apply for credit tab. Thank You, and hope we talk soon! Message: Thought you might be interested in this 2009 Chevrolet Silverado 2500HD.